A very attractive gift tin from The Famous Grouse house complete with a 5cl miniature of Famous Grouse along with special treacle Toffees. 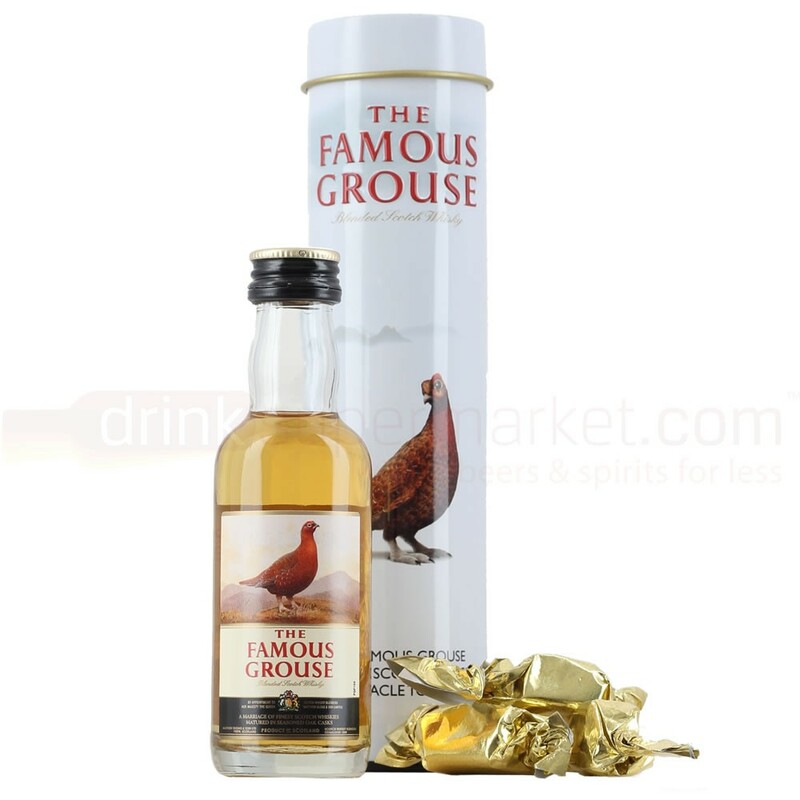 A nice extra little gift that's sure to put a smile on any whisky lovers face not to mention the presentation with the miniature and toffees presented in a Famous Grouse presented tube. Nose: A crisp, light nose offering up notes of toffee apples, hints of dried flowers and biscuity barley. Palate: Balanced, biscuit-laden palate with a core of thick, creamy malt. Just a hint of spice and the vaguest whisper of smoke really bring a great deal of complexity. Finish: A slightly sweet, malty finish. Overall: A very malty, biscuity blend. It's easy to see why this is so popular in Scotland!